The Democratic National Committee filed a lawsuit in April, accusing Jared Kushner, Paul Manafort, Donald Trump, and others of a racketeering enterprise that colluded with Russian agencies to hack DNC email servers, in the process of trying to affect the outcome of the 2016 U.S. Presidential election. However, they’ve hit a snag: some of the defendants named in the case have been surprisingly hard to serve with a summons, considering they’re public figures. After securing permission to mail Paul Manafort’s summons to him in prison, the DNC hoped for similar permission with Jared Kushner, who they say has dodged every attempt to serve him with the documents. While a judge turned them down, he did issue a stern warning. According to the New York Times, Trump campaign manager Brad Parscale called the lawsuit a sham and an act of desperation by the DNC and promised that the results would only be embarrassing for Democrats. Now, some named defendants may be showing concern that the lawsuit would have negative implications for them, as they’re accused of dodging the summons. On Monday, somewhat overshadowed by Donald Trump’s meeting with Vladimir Putin in private, Courthouse News reported that the DNC had secured permission to mail a summons to Paul Manafort, Trump’s former campaign manager, who is currently in a federal prison, after his bail was revoked over accusations of witness tampering. Manafort’s charges include conspiracy against the U.S. and failing to register as a foreign agent, among others. Jared Kushner, however, is among those named defendants who continue to evade the summons. Courthouse News reporter Adam Klasfeld shared on Wednesday that the DNC had attempted to secure permission to reach him by postal mail and were denied. Small wrinkle: Judge rejects, for now, DNC’s motion to serve Jared Kushner with their racketeering lawsuit by mail as they are doing with Manafort. Service is not intended to be a game for the serving party or the party to be served. The court is confident that the DNC’s counsel can contact Kushner’s counsel and arrange a mutually convenient means to effectuate service. 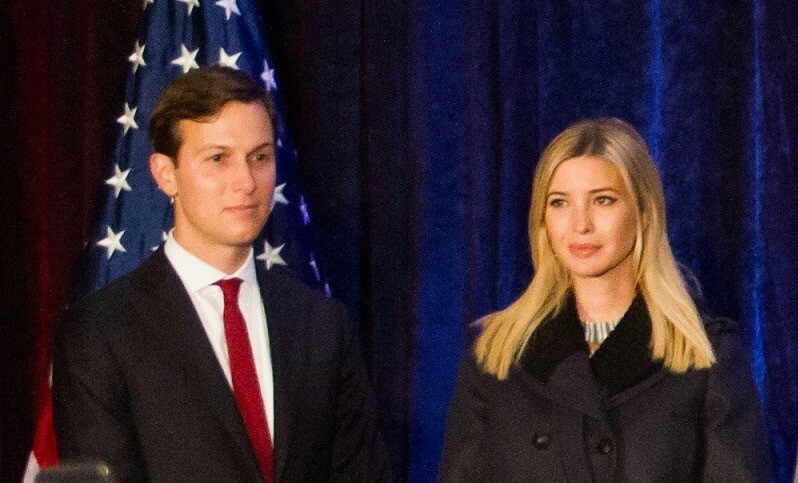 Jared Kushner’s father-in-law, Donald Trump, continues to repeat that there was no collusion between his campaign and Russian operatives, despite indictments of several high-profile individuals connected to his campaign. Jared Kushner’s reluctance to be served with a summons only further emphasizes that the Trump family is indeed concerned about the outcome of this case, and what it may reveal.